The Franklin County Convention Facilities Authority owns and operates 4,060 parking spaces in safe, well-lit garages and surface lots at five locations attached or adjacent to the Greater Columbus Convention Center. A sixth parking facility will be unveiled in early 2020, adding 650 additional parking spaces. 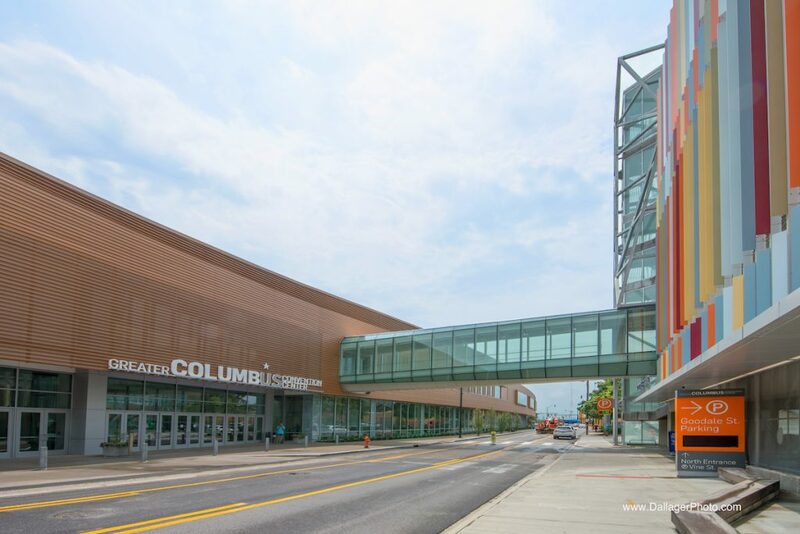 Although the Convention Authority’s parking facilities are designed to accommodate attendees of events held at the Convention Center, they also serve the Short North Arts District, Arena District and downtown Columbus. The Convention Authority’s parking facilities are self-sustaining and operate 24 hours a day, seven days a week. Advance daily parking passes may be reserved here. 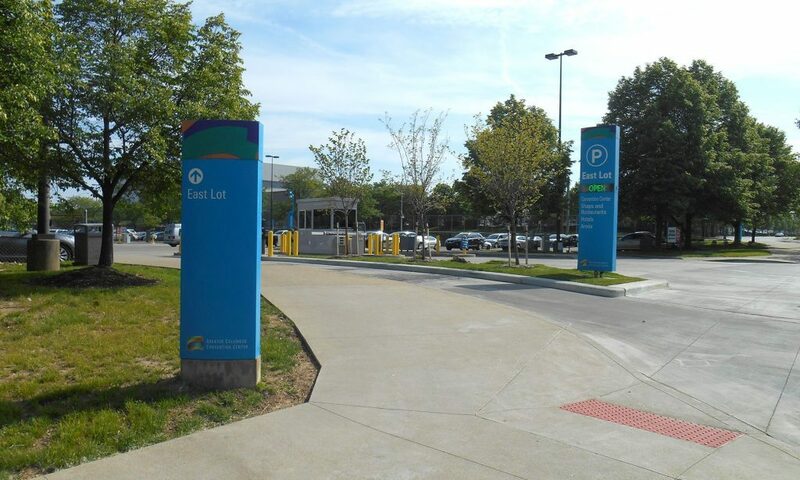 The Goodale Garage offers 800 parking spaces, serving both the Convention Center and the Short North Arts District. Convenient access to the Convention Center exhibit halls and meeting rooms is available using the skybridge on level three. The garage reflects the Convention Authority’s commitment to local art, by showcasing “art park” creations on each floor. These captivating displays from professional artists aesthetically elevate the parking experience and help customers to remember on which floor they left their cars. 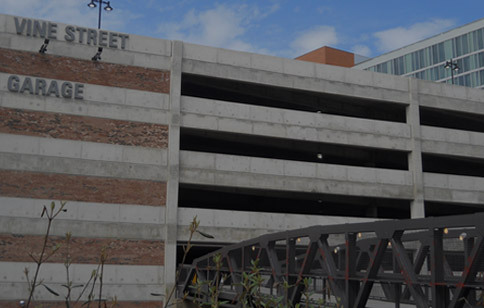 The Vine Street Garage provides visitors with 1,778 parking spaces and serves both the Convention Center and Hilton Columbus Downtown. 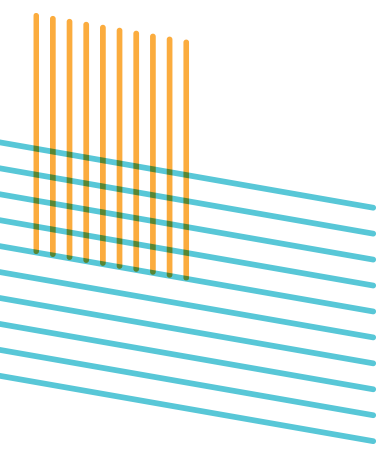 It is also situated within a short walk to Union Station Ballroom, exhibit halls, and A&B meeting rooms through the Michael B. Coleman Skybridge on level two. The Vine Street Garage presents art from Columbus students grades K-12. The South Garage offers 549 parking spaces that are located underneath the Convention Center’s South Building providing easy access to the Battelle Grand Ballroom and Hyatt meeting rooms. Skybridges also provide access to the Drury Inn, Crowne Plaza and The Lofts. Each elevator bank in the South Garage displays the works of local professional artists. The East Surface Lot’s 875 parking spaces are within a short walk of the Battelle Grand Ballroom and the Hyatt meeting rooms. The Red Roof Inn, Crowne Plaza, Drury Inn and The Lofts are also nearby. 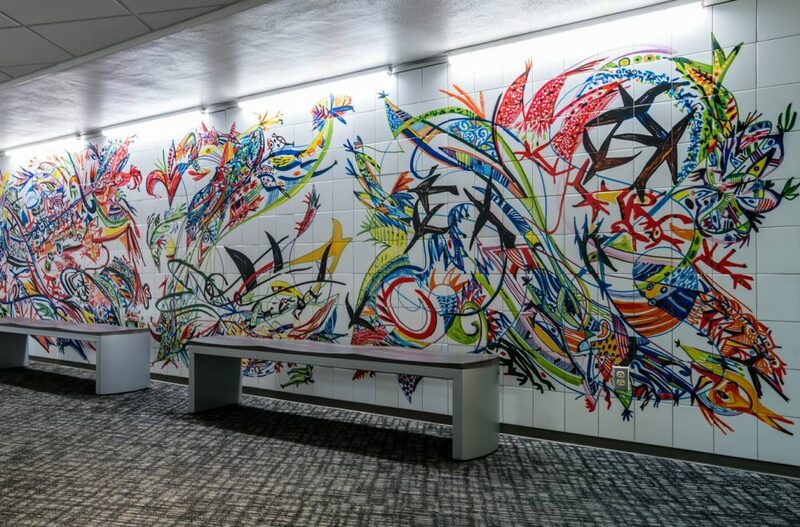 Our garages reflect the Convention Authority's commitment to showcasing local art, which also is evident throughout the Convention Center and Hilton Columbus Downtown. These captivating displays from professional and student local artists not only elevate the parking experience but help customers to remember on which floor they left their cars.